Kids are awesome, but also inconvenient! That quick trip to the supermarket to buy a bag of chips? You practically need a travel agent to help with the planning. From having to carry your child to having to transport their stuff, going anywhere with kids is akin to going crazy. Umbrella strollers don’t avoid this problem all together – parenthood is still annoying – but they take away some of the sting. Umbrella strollers get their name because of the way they fold – they fold up like an umbrella (some even fold into thirds). They’re usually purchased as a secondary product (an addition to your standard stroller). Why Buy an Umbrella Stroller – Is an Umbrella Stroller Worth It? Umbrella strollers are the ideal ride when you need something simple, lightweight, compact, portable, and easy to navigate (umbrella strollers go smoothly through crowded places like shopping malls). Many parents keep umbrella strollers in the trunks of their cars just in case. They’re light enough that grandparents can push them with ease and perfect for use on public transportation: it takes minimal effort to get them on and off of busses, trains, and subways. But the above doesn’t mean umbrella strollers are bland and basic. The modern versions come with storage bins, reclining seats, sun shades, and leg rests. Some are fancy enough that you can use the umbrella stroller as your main stroller, saving you money and space (two things invaluable to parents!). This stroller features a Winnie-the-Pooh design (not surprising, given its name). It’s easy to carry, tote, and push. It features a three-point harness, covered handlebars, and a sun-shade. It comes with a one-year limited warranty, too. Parents like that it’s very lightweight, easy to fold, and holds even larger children with ease. It’s also easy to maneuver around places like farmer’s markets, airports, and zoos. The price is nice as well! Parents don’t like that the front wheels lock up from time to time and the sunshade isn’t as effective when the sun is squarely overhead. The stroller doesn’t have an adjustable seat or adjustable handles. If you’re tall, grab your Advil! This stroller is a thrill for kids who like monsters (monsters on strollers are much better than those underneath beds). It’s easy to store inside the trunk of a car and easy to carry. It also has a double foot brake for extra safety. The pros include its size – it’s small and doesn’t take up space. It’s also lightweight and folds down without effort. The design and the price are attractive. It’s an ideal ride for short distances and quick trips. The cons include the handles – they’re short. The canopy is limited and the wheels tend to rattle. The stroller can be hard to steer when over-used. This stroller is lightweight with a large canopy. It features a climate-control rollup, storage basket, and cup holder. It’s easy to fold (it does so in one step). Parents enjoy that this stroller offers many of the bells and whistles of bigger, standard strollers. It’s quickly assembled and pushes effortlessly. It’s also affordable and the ventilation provides kids with a comfortable cruise. Parents don’t enjoy the short handles – if you’re tall, it might not work for you. The cup holder also comes off easily and the storage bin could be larger. The stroller is narrow, making it difficult to use with larger children. This stroller is lightweight and compact. It has a durable frame that holds children up to forty pounds and a three-point harness to secure your child safely. The pros of this stroller include the design – it is indeed sturdy and up to the challenge of regular use. The handles offer a comfortable grip and the sunshade is adjustable. It’s easy to put together and easy to maneuver. The cons are the rigid handlebars – they are not adjustable. The stroller (as is a common theme) is not ideal for tall people, though some parents have noted that it’s better in terms of height than other products. The wheels are an issue too, as parents have noted they’re unbalanced in the front with a propensity for sticking. This stroller features a five-point safety harness (take that, you three-point harness! ), a modern design, comfortable support, and swivel front wheels. It also has a scissor fold. Parents love that this stroller is very high quality. It’s lightweight, easy to fold, and the handles are high-end. There is a mesh pocket to store phones or car keys and the seat is larger than typical on most umbrella strollers. Parents struggle with the braking, locking, and unfolding – there is a learning curve to using them with your feet when you’re just starting out. The stroller may also be too short for people who are very tall. This stroller features easy to clean fabric, a mesh sling seat, and an adjustable canopy. One of the perks of this product is it’s easy to put together. It’s also high quality with a sun canopy that actually does block the sun (tell your friends). The stroller stands when folded too, making it easier to get in and out of the car. The ride is nice – those who’ve purchased this describe it as “sturdy” and “luxurious.” Don’t let the opulence go to your child’s head. The drawbacks of this stroller are it’s heavier and bulkier than others. The difference isn’t much, but it’s enough to notice. Folding it can also be tricky – requires two hands. And the wheels tend to squeak. Stock up on WD40. This stroller is high quality and comes with many additional features (adjustable foot rest, large canopy, cup holder, a seat that reclines). If a standard stroller and a regular umbrella stroller had a baby, it would be this product. 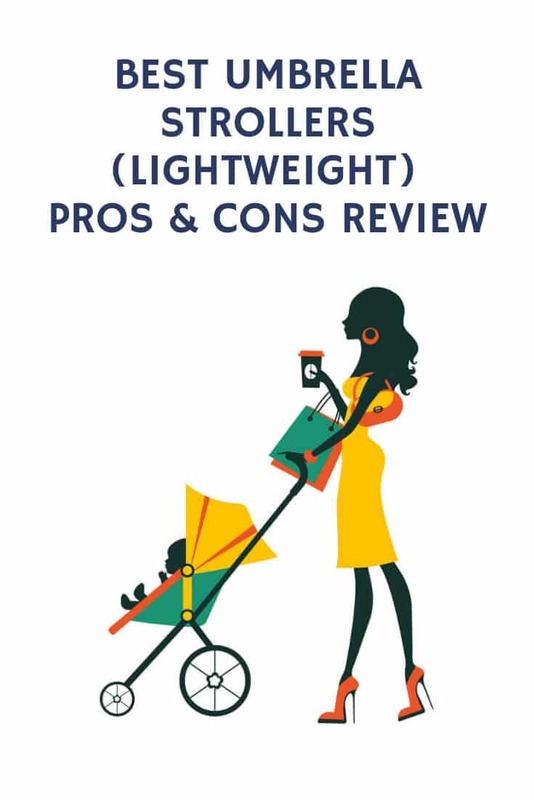 The benefits of this stroller are the additional features mentioned above (naturally) as well as the weight (it’s light). It’s easy to push with a single hand and it’s easy to fold. It accommodates children of various sizes and weights and navigates through crowded areas well. It also works in snow. The drawbacks are it doesn’t always fit through narrow passages (like grocery store checkout lines). The brake bar occasionally engages when going over bumps and the cup holder doesn’t hold beverages securely. The safety straps are tricky to adjust and the stroller bag could use a handle. This stroller has a roomy canopy and a storage basket. It features all-wheel suspension and swivel front wheels. The pros include safety (it has a five-point harness) and it’s easy to fold. It’s well built with higher handles for parental comfort. It provides a nice ride for children too. The cons are the canopy doesn’t fold and the stroller lacks a cup holder. Some parents have expressed wishing it held more weight as well. 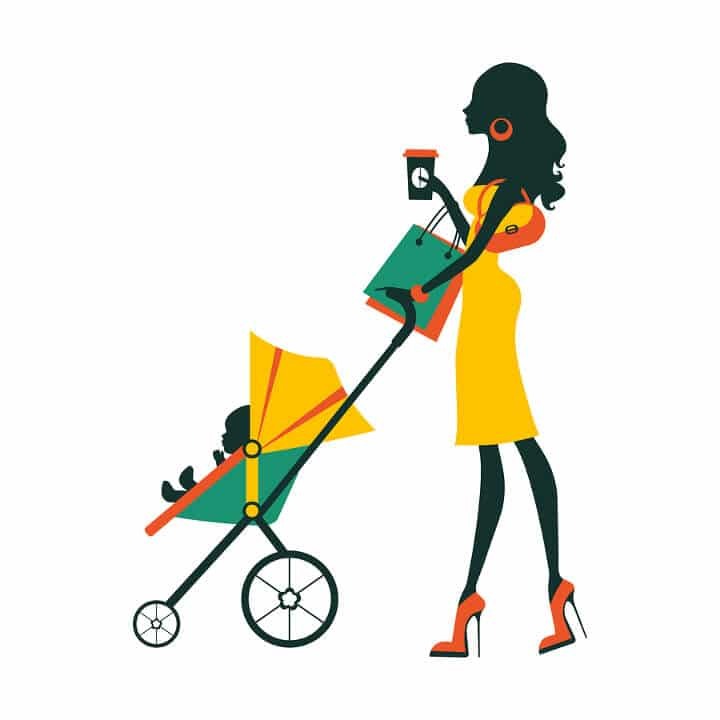 An umbrella stroller isn’t the only thing you need in parenthood (it doesn’t replace coffee or wine!). But it’s a necessity of convenience. You’ve got things to do: don’t let your children get in the way! Grab an umbrella stroller and travel readily with baby or toddler in tow.